Optimize posture and production with Brewer’s patented breakthrough – Dynamic Split-Saddle-Seat Technology. A Unique Angle On Comfort. Better posture as the vertebrae discs align naturally, resulting in immediate improved posture with less spinal muscle degeneration. Tension relief in the shoulder and neck area due to the improved positioning of the thoracic and cervical spine. Deeper breathing occurs due to the stretching of the torso allowing for better circulation, resulting in less fatigue. 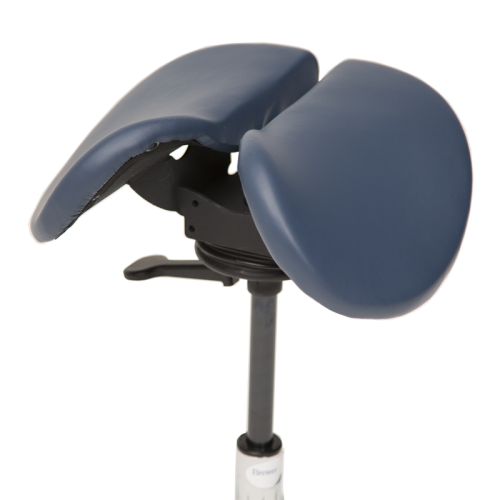 Improved mobility and reach is easily achieved as the legs are free to “scoot” around the operatory, while remaining seated. Unique 360° tilt makes movement easier and more natural. Allows core muscles to become active in supporting the spine. Strengthens spine stability muscles, pelvic and leg muscles. Less pressure on the edges of the upper legs when moving side to side. Improves circulation as there is no edge to press against your upper legs. The veins and arteries that carry blood to and from legs are in the most open position for improved circulation. Offerings superior cooling comfort, resulting in improved genital health in both men and women. Balances the pelvis in an upright position placing the weight over the “sit bones” and not the soft tissues. 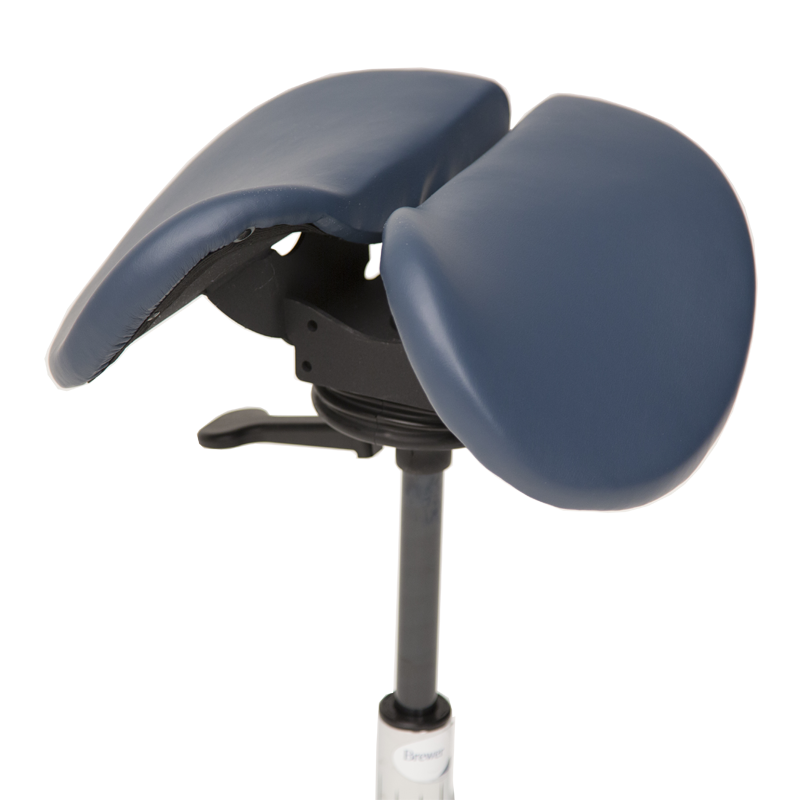 Better hip abduction brings improved posture over narrower saddle seats. 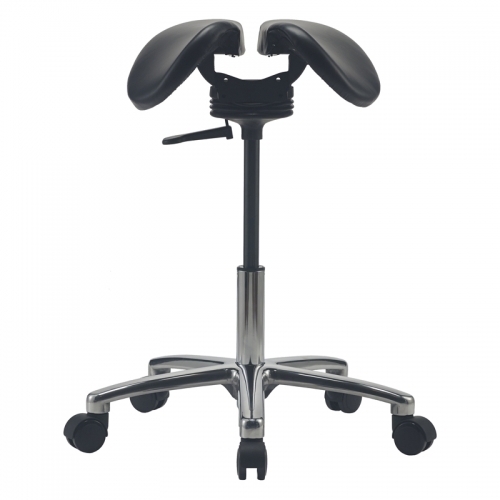 Dynamic, Core Strengthening Addition to Brewer’s Elite Ergonomic Stool Line! Provides 360° of balanced, dynamic “swaying” movement. Improved circulation and cooling comfort resulting in improved health. 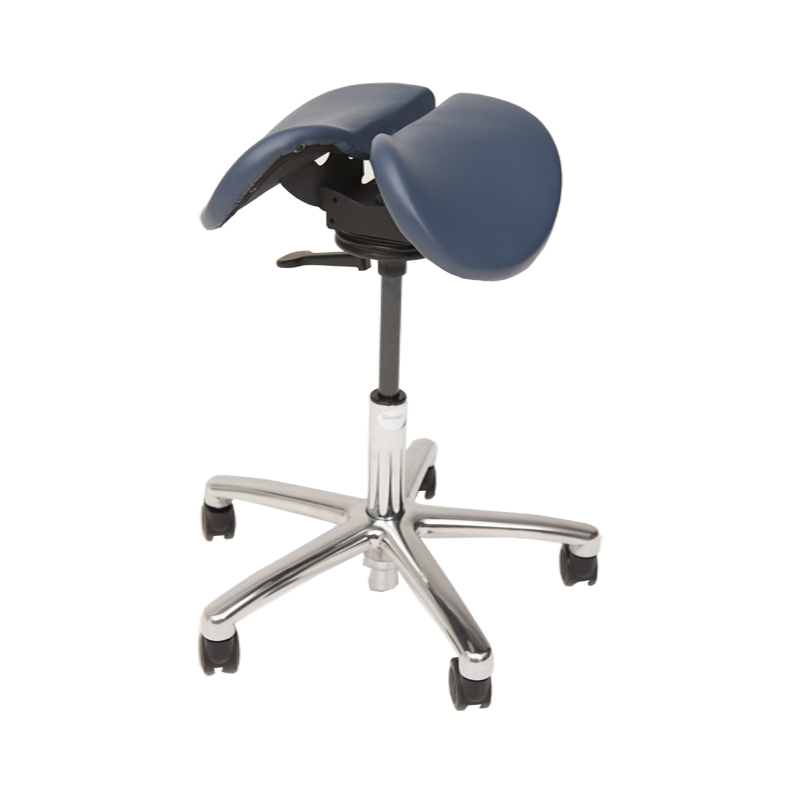 Allows natural posture, thus strengthening your core muscles while you work. Seat “movement” can be easily adjusted to your own preference and comfort level. 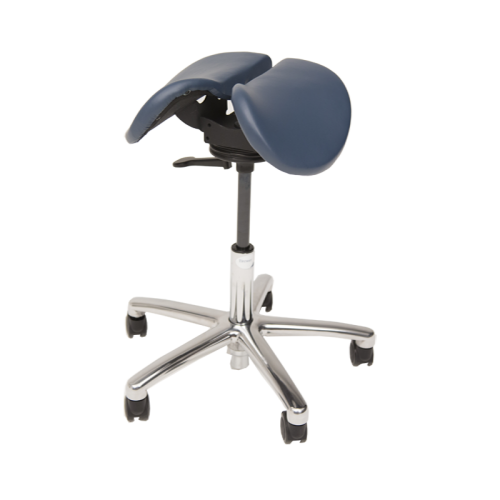 Available in 3 height ranges so the optimum angle of the knee, 135°, can be achieved. Always approach the stool from the back and stand to one side. Lift the adjustment lever until feet are flat on the floor. Thighs should angle downward at approximately 45o. 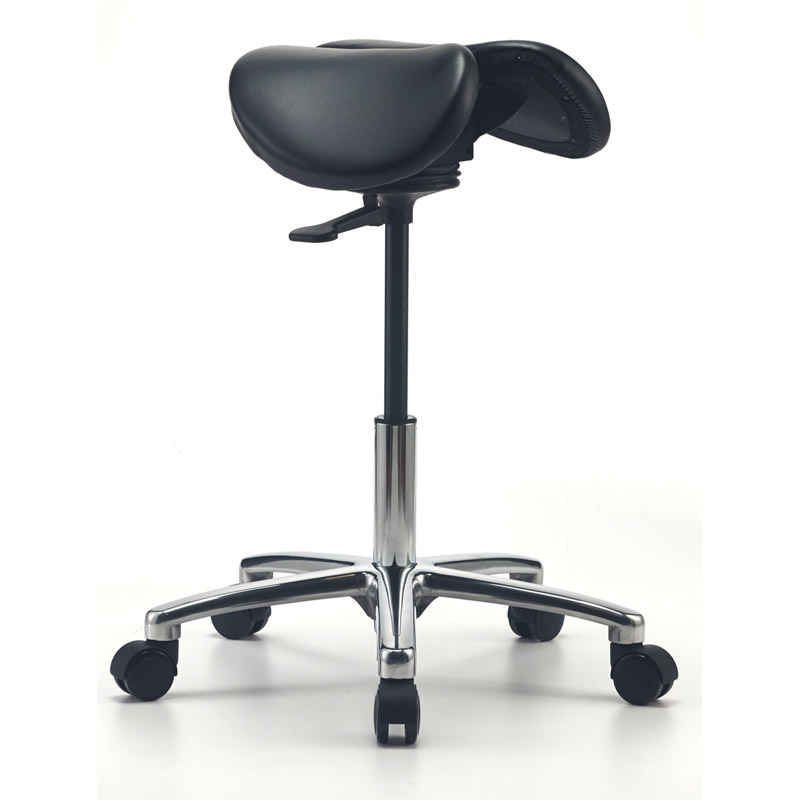 The stool is now at your proper ergonomic height. Proper ergonomic seated back position: Hips tilted forward, deep low back curve. Adjust work surface so the user’s forearms are in a horizontal position, or sloping downward at a maximum of 3o-4o.